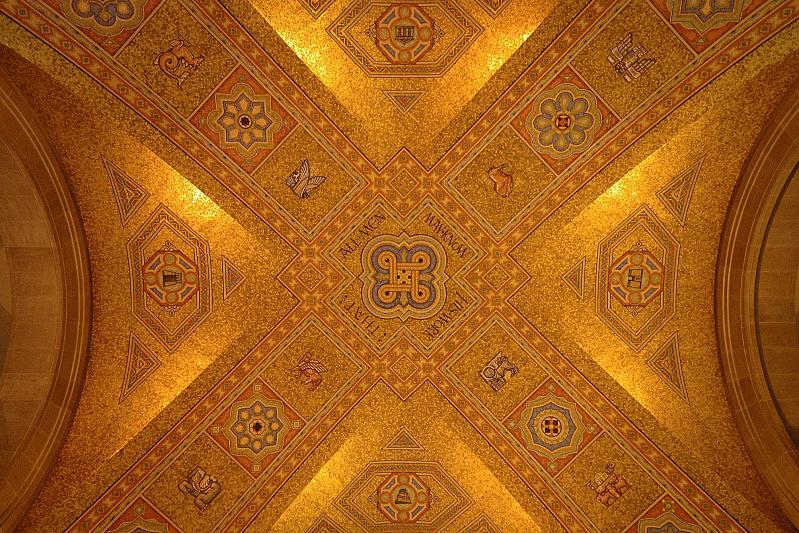 This is the ceiling of what used to be the main entrance to the Royal Ontario Museum in Toronto. I always remember being impressed by the beauty and workmanship when I visited as a schoolchild. Now that the ROM sports a "crystal" as its entrance, this ceiling is probably seen by fewer people. The legend at the apex suggests that, whatever one's culture or religion, there is a common source to life and wisdom. The new entry is at once much flashier and much less bold: all awkward geometry and no attempt at a context for the museum's treasures.